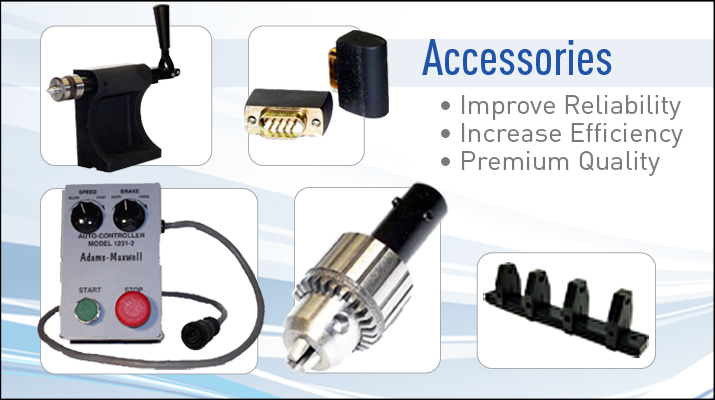 Our major customer base includes such companies and Colleges as Boeing, Moog Components, Apple Computers, MIT, Honeywell, JPL (Jet Propulsion Laboratory), Raytheon, and GE (General Electric). 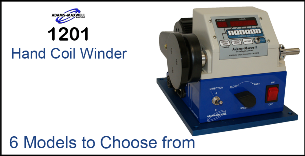 Our Popular 1201 Hand Winders have been built with the highest quality components since 1976. 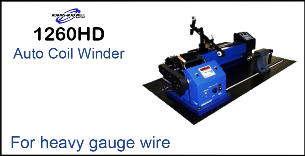 Thousands have been sold - get yours TODAY! 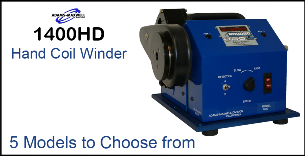 The 1250 Auto Coil Winders allow for precision coil winding; consistent, high quality results will help your company produce the best products for your customer. 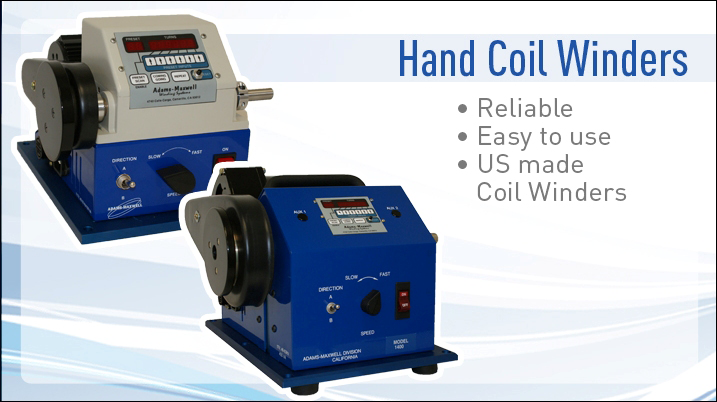 The 1400HD Hand Coil Winders allow for larger material to be wound, whether it is copper wire, or nylon cord, this winder will get your company winding. 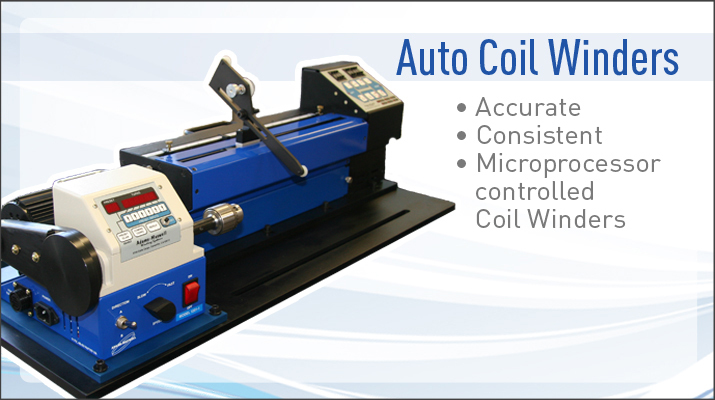 With a larger traverse size, and a more robust design than our 1250 Auto Coil Winders, the 1260HD Auto Coil Winder provides great precision and great versitility. 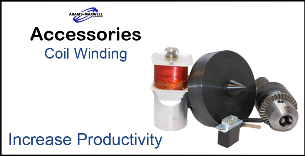 Adams-Maxwell Winding Systems offers an array of accessories to help your company increase your output while improving your end product..
Adams-Maxwell is known for durable, and high quality Coil Winders. 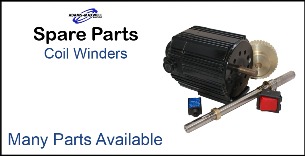 We offer Customers spare parts, and a top notch Repair department to keep you winding.